Pretend you’re dancing in a field of tulips when you wear these dainty flower earrings. A mirrored gold disc features a white tulip shape hanging below. Perfect for when you want to add a touch of spring to your outfit! I ADORE these earring so much! Every time I wear them, I get a ton of compliments and am proud to say they’re a purchase from someone who has made them by hand. So excited to order my next pair! Lightweight and absolutely adorable! 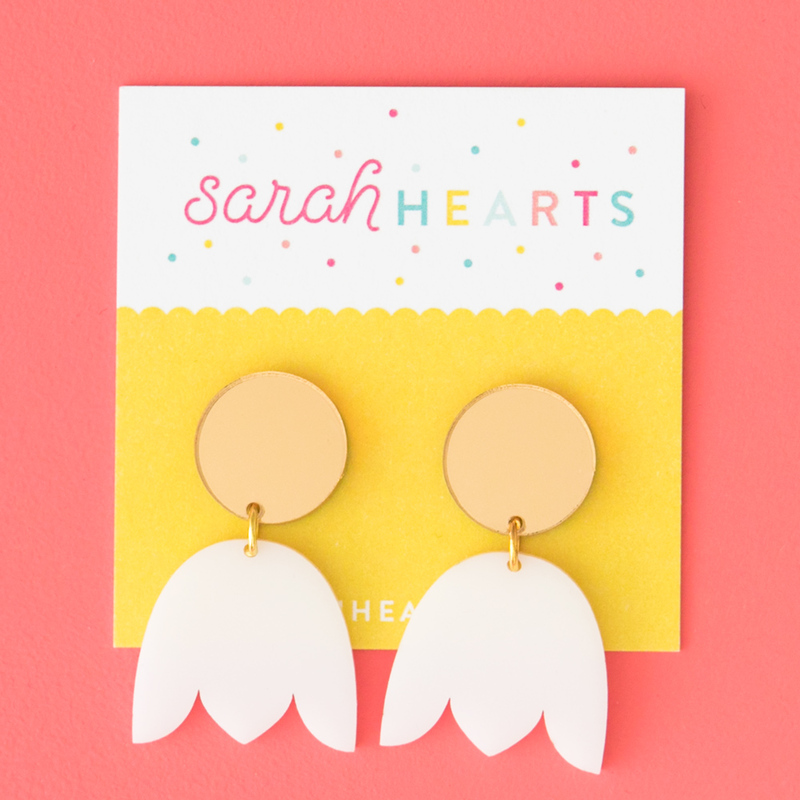 The perfect size, too–the cutest dangly earring I own! I get sooo many compliments on these! Somebody literally made wrote the website down on a receipt at a store so she could go buy them. They’re adorable and so comfy!